Please keep check for updates to this page! 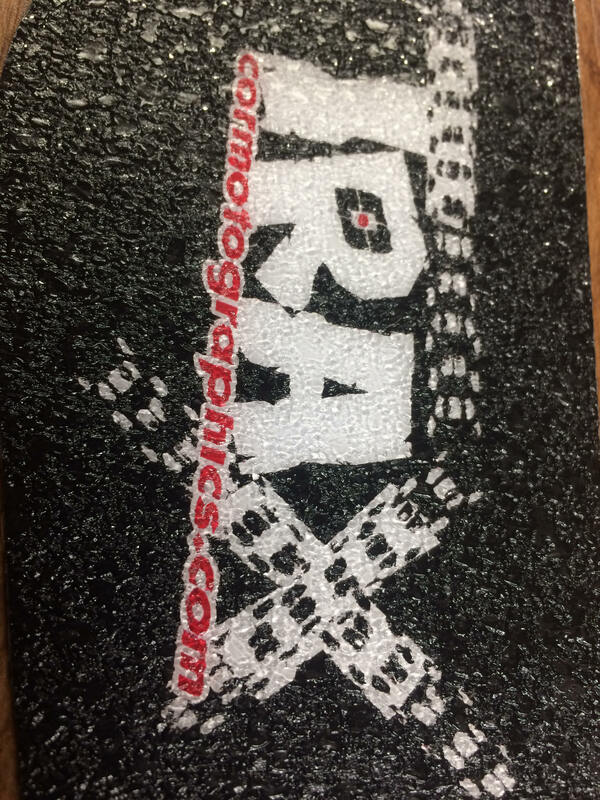 No proof required "What you see on the image you will receive in no time flat"
Semi Custom Logos can be selected from the Logos Option and list your logos for each kit piece. You will receive proofs to ensure our placement is to your satisfaction. 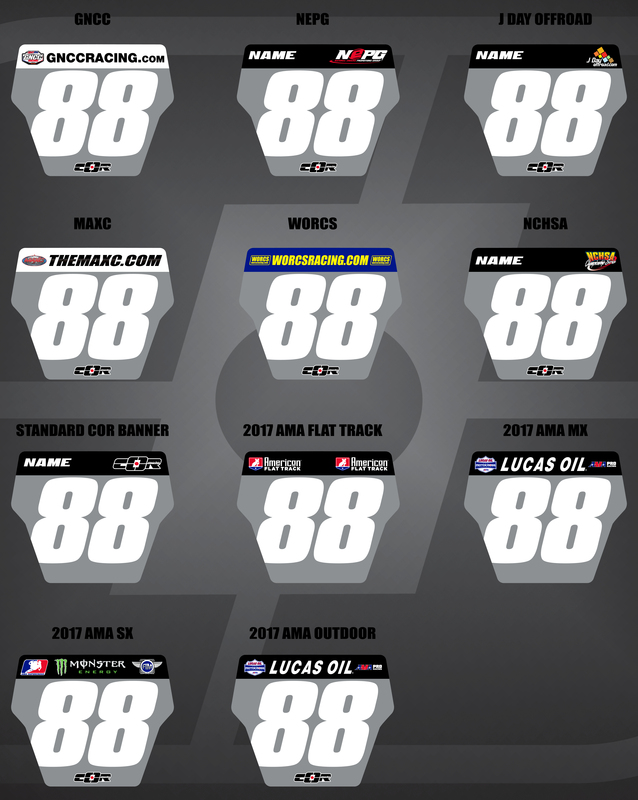 Some of the templates across the many makes and models of bikes have areas where airboxes are integrated into the number plates. We provide these at no additional charge for number plate purchase. Below is an image that outlines where the airbox runs into the number plate area. Under most normal circumstances graphics can be completed in the following time frames. If the turn around time is running slower than normal a salesman will make you aware at the time of order. All other miscellaneous or special graphics will be quoted on a case by case basis. Image featured below to assist in the identification of the various banners we offer. Trax is an aggressive and tacky overlay designed to replace the glossy MX material with a rough look and feel. 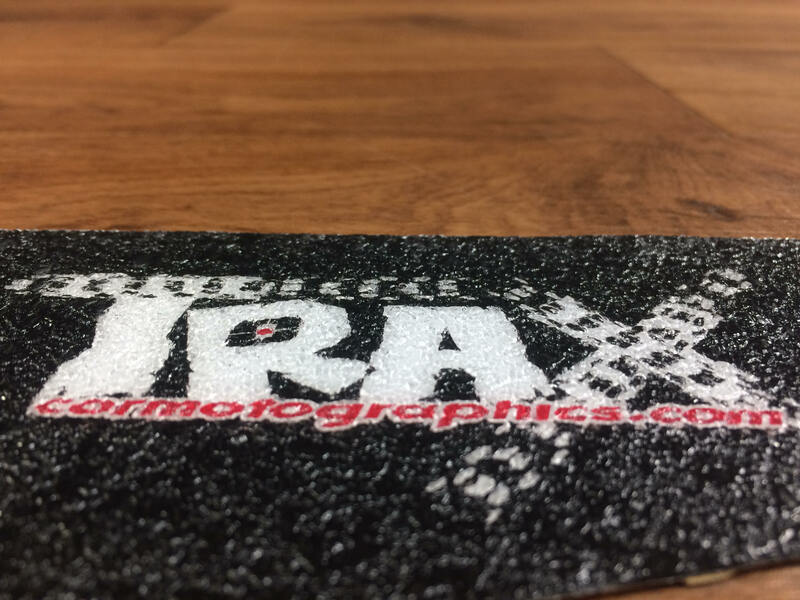 While all of the materials we offer have industry rated durability, Trax offers some unique features such as a tack or grip feeling while riding. 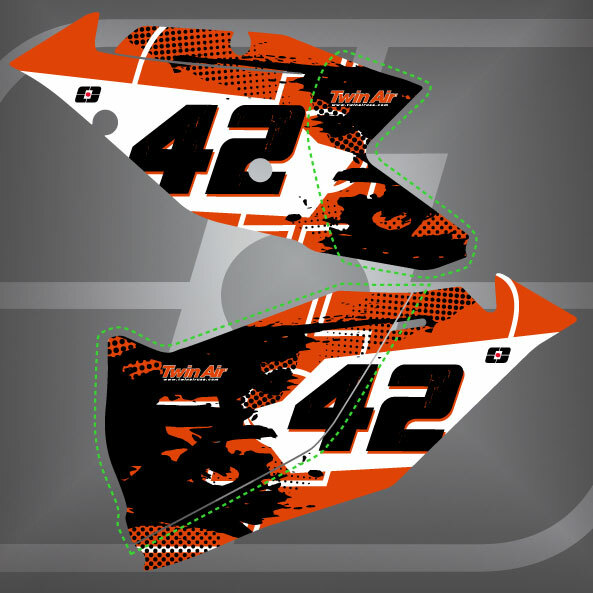 The Trax Material option is now available on Full Kits, Shrouds Airbox and Frame Guard graphics. Below are some Trax sample images for reference.